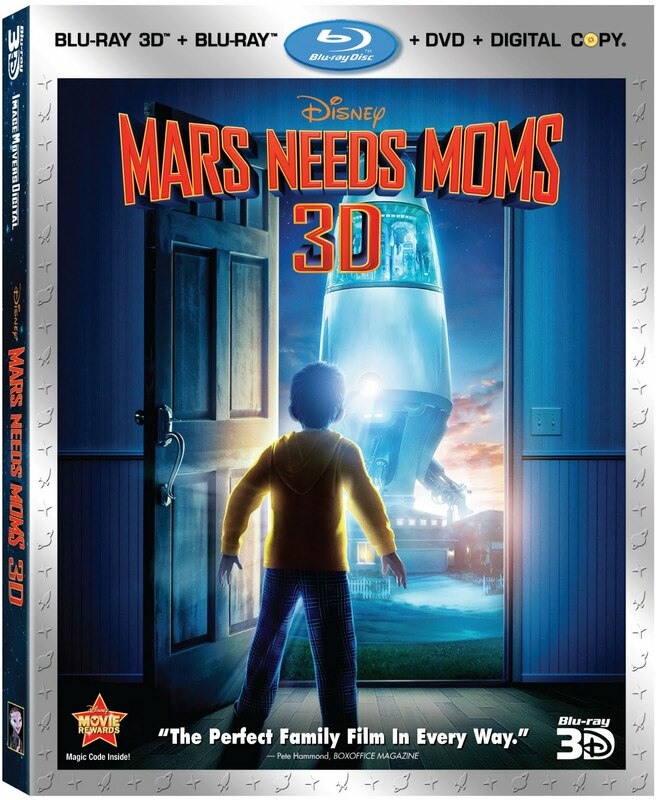 We were sent the new Mars Needs Moms movie to review. We didn't get the chance to see it in the theatre so we were all pretty excited to get the DVD! Film Synopsis:Take out the trash, eat your broccoli — who needs moms anyway? Nine-year-old Milo (Seth Green) finds out how much he needs his mom (Joan Cusack) when she's nabbed by Martians who plan to steal her mom-ness for their own young. In a race against time and oxygen, his quest to save her knows no bounds. And with some unexpected help, Milo just might find his way back to her — in more ways than one. 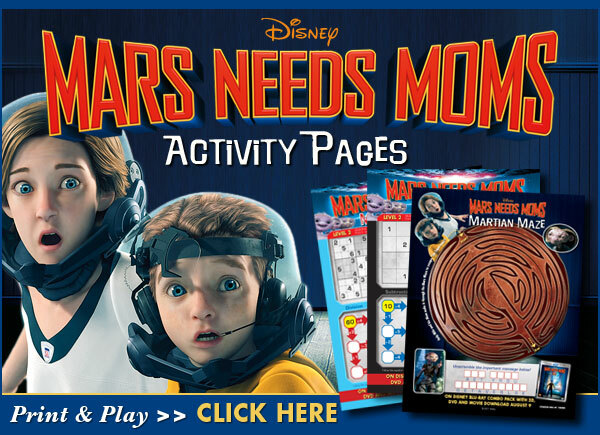 My kids all love Mars Needs Moms. The first time they watched it my sons were so caught up in the story that they even cried a bit. I also really enjoyed it- I got a bit choked up at one point and laughed out loud a few times. The animation is fabulous and I thought the story was all around entertaining. Aiden (age 9): I think it is kinda scary and good and crazy and weird. I like the guard martians because they are really cool and they have really cool armour. Olivia (age 4): I like Ki the girl martian because she is pretty. I like Milo too and I like his mom. I like Gribble too. I don't get it how they make martians though. I don't like the part where they steal Gribble. Owen (age 7): I think it is pretty cool and kinda weird. I like watching it. If you are looking for a movie to watch with the whole family than give Mars Needs Moms a try!